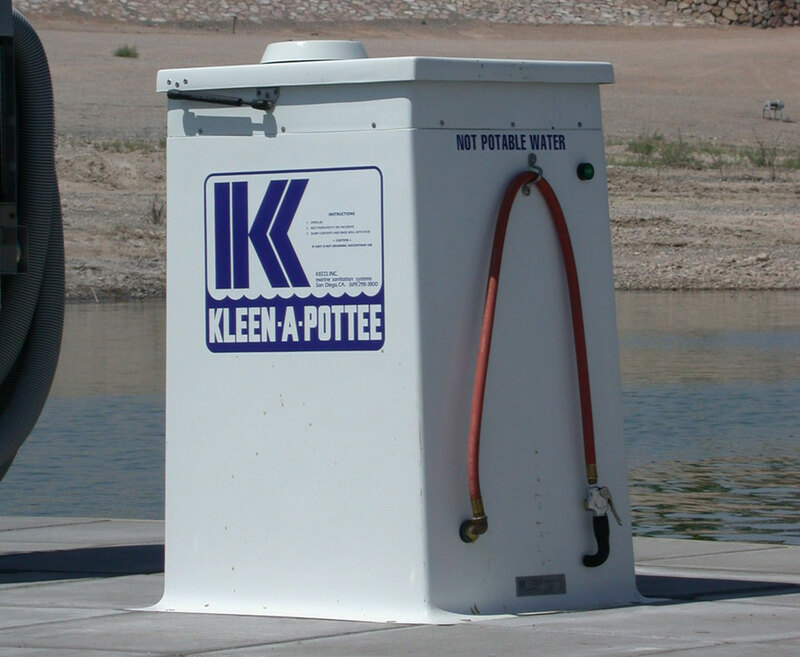 Keco’s 300-Series “Kleen-A-Pottee” allows boaters using portable toilets a clean and convenient receptacle to empty and clean their tank. There’s nothing more convenient than a portable toilet when you need it. There is also nothing worse than having to empty and clean it. 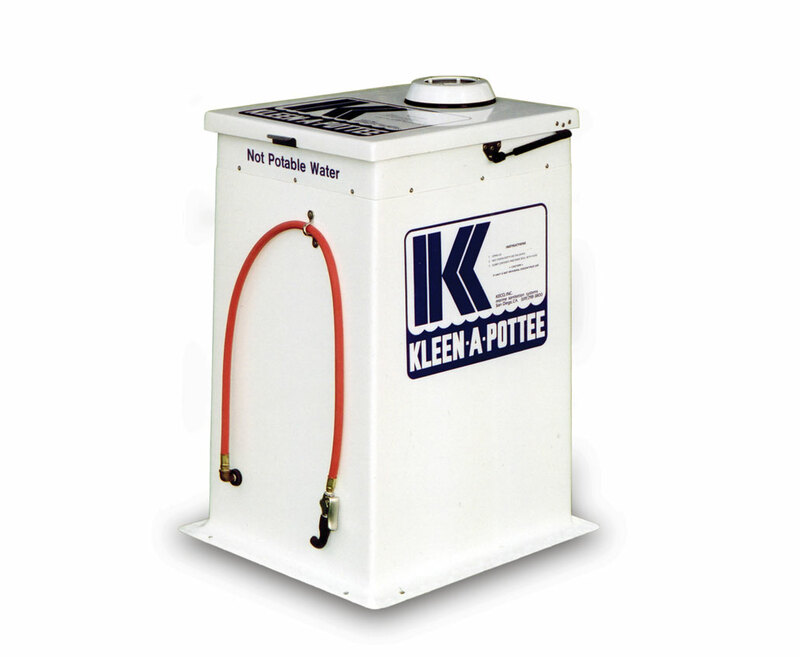 “Kleen-A-Pottee” is a beneficial addition to any facility, offering services to a variety of clients with portable toilets. Reinforced fiberglass insures the 300 series is built to last. 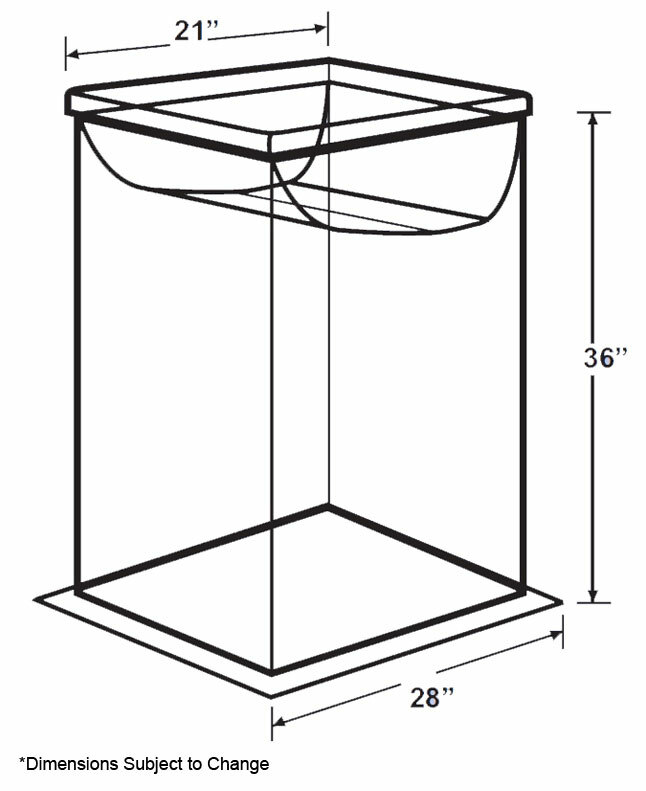 Its smooth interior design prevents trapped solids and insures a complete drainage of waste. 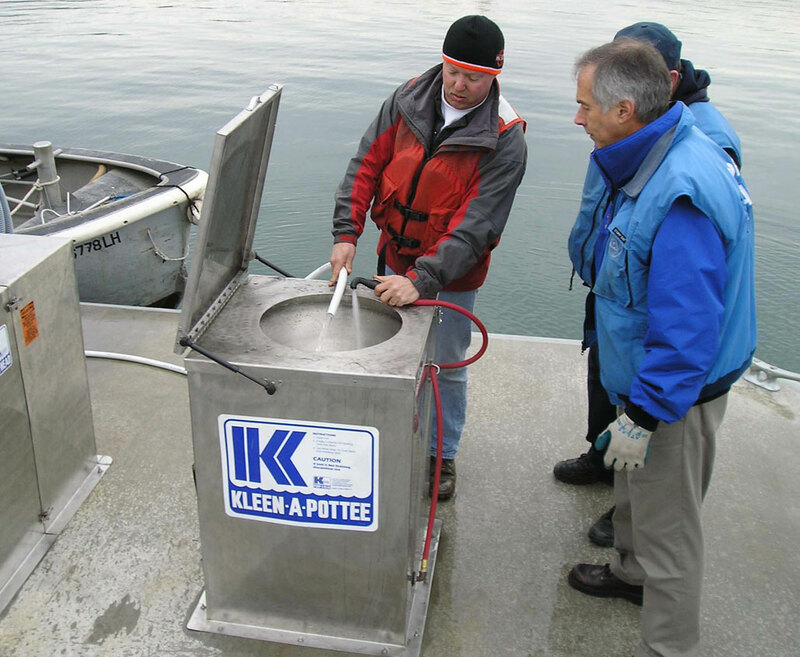 When your clients need a place to dump their waste, the “Kleen-A-Pottee” is the place. Keco has redesigned the 300 Series to be more user friendly. Gas springs allow clients to effortlessly open the top cover. A solar powered fan is mounted on top of the cover to prevent unwanted odors. A fresh water hose allows clients to rinse out portable toilets and the inside of the “Kleen-A-Pottee”. The “Kleen-A-Pottee” may also be equipped with an auto-rinse option that insures the interior is clean all the time. Keco offers four models of the 300-Series to be suit your facility. The Model 300G is gravity drained discharging contents directly into a sewer/septic system. 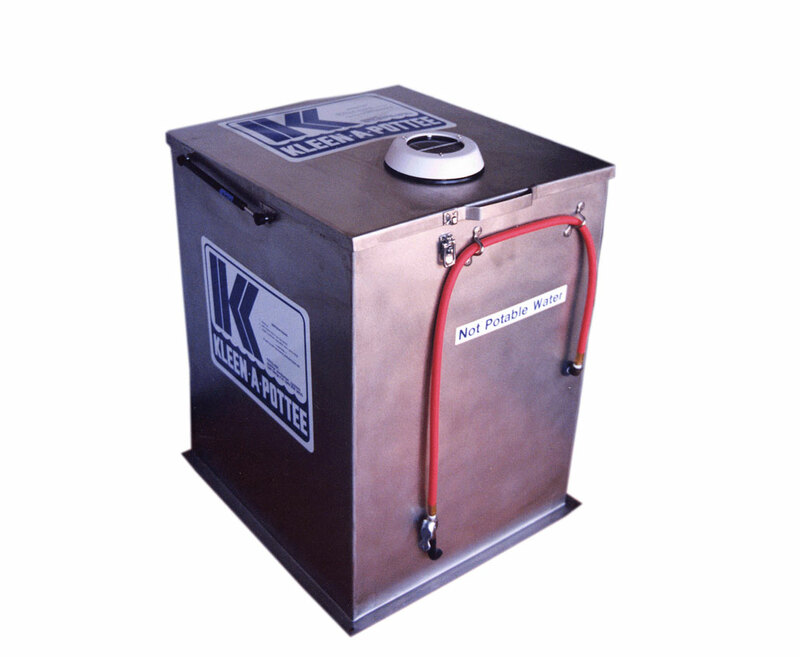 Keco’s Model 300P is plumbed with a Quick Connect for use with a Keco Marine PumpOut system. The Model 300D includes a high powered ejector pump. This model includes a level sensor system that automatically activated the ejector pump when the ejectro tank is full. Keco’s Model 300V is plumbed with an electric ball valve and permanently connects to one of Keco’s fixed PumpOut systems. 300P - (Plumbed) Connect to Hose of PumpOut Station. 300D - (Discharge) Integral Pump & Collection Basin - Float Activated. 300V - (Vacuum) Connects to PumpOut System with Auto Valve.